Miguel Sanz is Head of the Department of Hematology and Bone Marrow Transplant Unit at the University Hospital La Fe in Valencia, Spain, as well as Professor of Medicine at the University of Valencia. After earning his medical degree at the University of Salamanca in Spain, he was intern, resident and subsequently completed a fellowship in Hematology at the University Hospital La Fe. He was appointed as Head of the Clinical Hematology Section to the University Hospital La Fe in 1977 and then later promoted to Head of the Hematology Department in 2007. Professor Sanz is chairman of the Spanish PETHEMA Group and leads the working parties of acute promyelocytic leukemia, acute myeloid leukemia and infections in neutropenic patients. He is currently a reviewer for numerous high-profile medical journals including all top hematology journals, and has authored more than 410 peer reviewed papers, numerous book chapters, and in excess of 950 abstracts at national and international meetings. 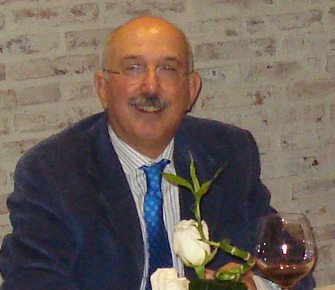 Professor Sanz has also lectured widely in Europe, North, central and South America, as well as in Middle East and Asia, serving as lecturer at the American Society of Hematology in 2004, 2005 and 2010.